Parents should refer to http://go4reviews.in/2018/05/nursery-admissions-session-2019-2020-begin-details-inside/ if looking for admissions for session 2019-2020. The process of inviting Applications for Nursery school admissions in Gurgaon for 2018-2019 session have begun. While some schools have already initiated the process, others would follow in the month of August and September. The admission process in Gurgaon schools is mostly over by the month of October. Below are the schools where admissions are in progress along with the admission process details like last date of filing and admission reference. Please keep checking this as this would be updated on a weekly basis. Last Date for filing application: To be known after advertisement is published in TOI/HT on 29th July, 2017/30th July, 2017. Last Date for filing application: 5th August for Sibling. 13th August for non-Sibling. Last Date for filing application: Not known. Last Date for filing application: Starts 7th August, 2017 onwards. Last Date for filing application: Not declared. Last Date for filing application: Within 2 days from the date of purchase of application form. Last Date for filing application: 19th August. Last Date for filing application: Starting soon. Last Date for filing application: 22 August, 2017. Last Date for filing application: Starts 9th August, 2017. Last Date for filing application: 24th August, 2017. Last Date for filing application: 30th August, 2017. Disclaimer: While care is taken to ensure accuracy of data, parents are requested to verify each and every information at their end. The purpose of this article is to help prospective parents with leads and in no way approves of any association of Go4Reviews with any of the schools mentioned herewith. 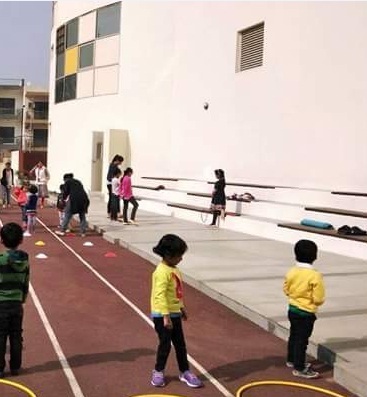 Admissions are open to GD Goenka Global School for nursery to Grade 5. We offer the IB-PYP curriculum to our students. You may call the school for details. Mostly, except for nursery, admissions to other classes are done as per availability. Last we checked in Jan, opportunity was subject to availability. Kindly add MADE EASY SCHOOL GURUGRAM. Admissions for Nursery has started. For First standard will start after Diwali. Any idea how tough is it to seek admission in First standard in schools like Lotus Valley, Suncity, Shivnadar, G D Goenka. Shiv Nadar will have hardly any vacant seats. You may get an opportunity in Lotus valley and suncity. Offcourse they will have written test and interactions. so, its difficult to say the least. 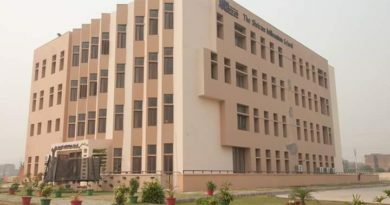 how is delhi public world school in aravali. any feedback? it has just begun its operation. parents of junior classes mostly satisfied. there was an event last weekend in gurgaon. i met vega school and dps sohna road staff there. found dps a tad better just based on interaction and vision. Vega focuses on holistic development and a modern way of teaching. the methodology works if teachers are accustomed to this way of teaching. so, it might take time to grow on academic front. How is Vega in sector 48 in academics? when is blue bells starting admissions? It has shown good results on academics front. A bit traditional for junior classes, it is a good preference for senior classes. Shiv Nadar and Scottish High admissions started. DPS sushant lok admissions have also begun. Shikshantar may start admissions anytime soon. Any schools on sohna road? Any news on Shriram Aravali admissions?